Your website will look and work great on any device, whether it's smartphone, tablet or desktop. You can jump in and make changes any time, or just ask us and we'll take care of it. Have a special of the day? We'll make sure it's automatically front and center. 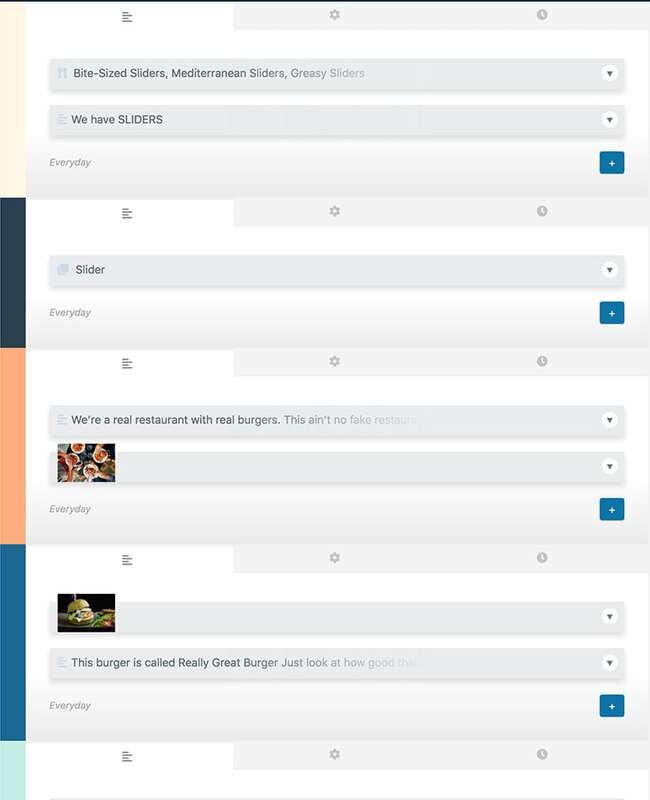 We'll add in all of your menu content so it's easy to navigate and we'll even keep it up to date for you. Direct visitors to your profiles through links and live feeds from Instagram, Facebook or Twitter. 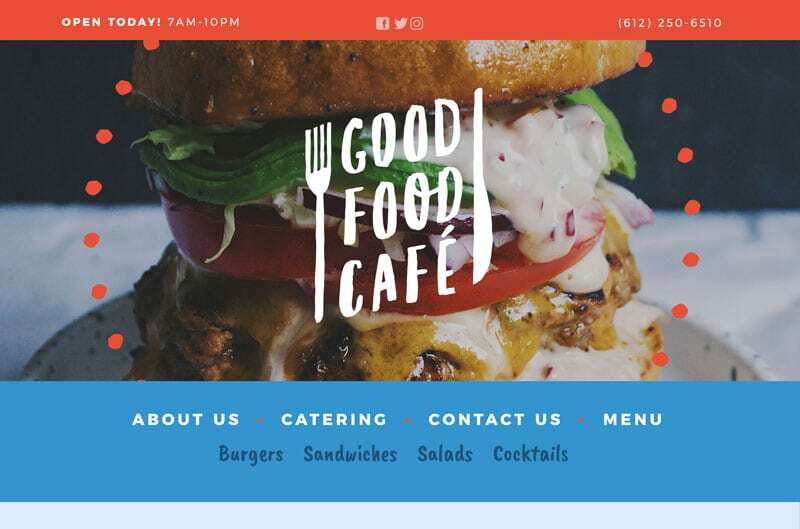 A well-made restaurant website introduces your brand. It sets the tone and provides information, communicating to your guests what they can expect when they visit your restaurant. We will create a site that clearly and consistently represents your brand.. Whether it’s a featured dish or the weekly classics, you can display sections of your homepage based on the time of day, day of the week, or even specific dates. Our platform was developed to incorporate your unique aesthetics while also making it easy to add sections of content using a wide variety of visual options. You will have no problem making edits to your restaurant website, or send your changes to us and we’ll take care of it. Nothing makes your restaurant come alive on your website like vibrant photos of food, drinks and dining space. That’s why we offer an affordable photography package for restaurants in our local area. Good food tells a good story. There are many uses to well-written content that you can share on your site and everything your brand touches. Your logo speaks directly to your audience, expressing your core message and values. If you want to refresh your look, we can help. We can help you get found by people in your area looking for the best places to eat. Keeping all of your online profiles up to date and accurate can make all the difference.